Today’s recipe is very near and dear to my heart. 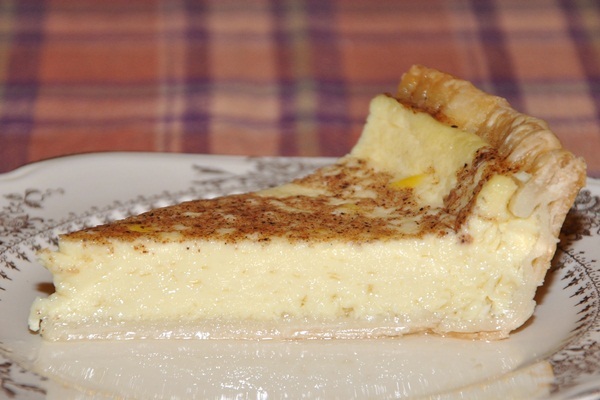 Today I share with you a family tradition and favorite that I learned from my Grandma M* which is her Egg Custard Pie. 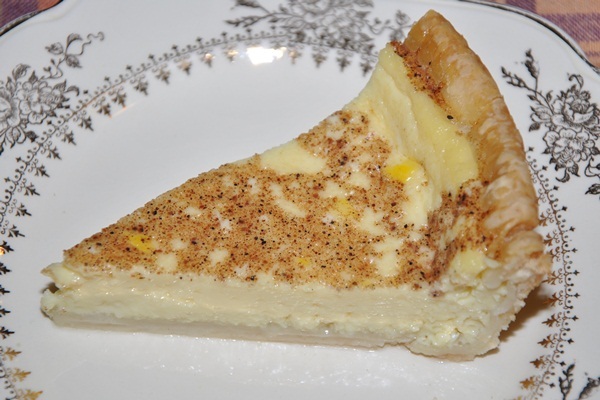 I know there are many egg custard pie recipes out there on the web but this one is different for many reason. One reason is it’s very simple, no scalding the milk or using butter. 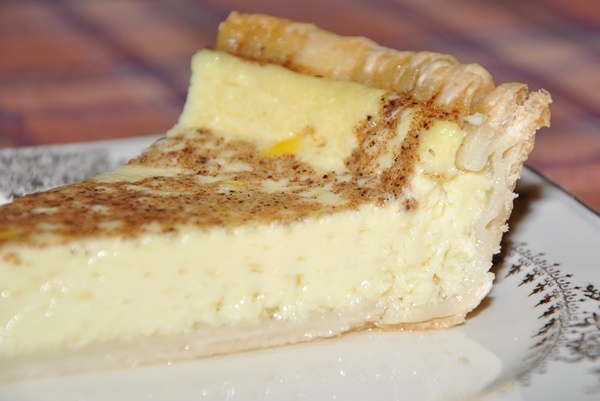 Just eggs, milk, vanilla, nutmeg, sugar, and a pie crust. The other way it’s different is that it’s made with lots of love. As a child I always remember going to visit my Grandma and never wanting to leave. You could feel the love she had for us just by her hugs and then she always spoiled us with her egg custard pie as a snack. I remember as a kid always wanting to cook and bake just like her and wear her aprons. She would sit me up in the bar stool at the window in the kitchen so I could watch her cook. Now that I’m older I think I got my love for cooking from her. Needless to say this is my father’s favorite dessert. 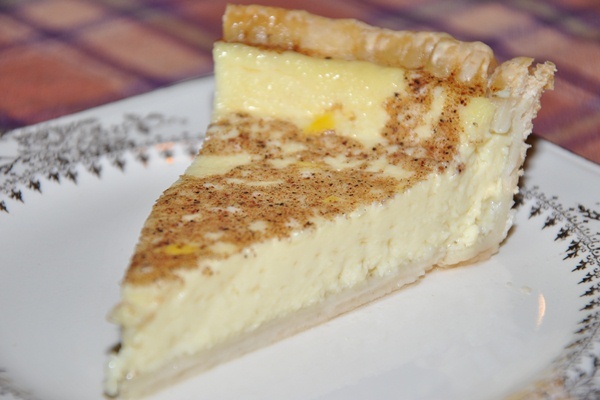 Ask him what he’s hungry for and he’ll always say egg custard pie. Now that I know the recipe my family is always requesting it. Holidays, birthdays, vacations, or just because this recipe is a staple in my house. Usually I alter recipes but this one I will never touch because it’s simply perfect the way it is. Every time I bake this pie it reminds me of my Grandma and just how much love I have for her. Mix by hand with a wire whisk. No electric mixers allowed! Add a little nutmeg or a lot-it’s all about how much you like. The pie must be 100% completely cool before refrigerating. You MUST use whole milk only-otherwise you won’t get the creaminess. Enjoy and thank you Grandma for delicious desserts and for always putting in lots of love. mmm, oh my gosh, this looks so much more delicious than the cereal i'm about to eat! i'm definitely trying to make this... VERY SOON!